Mats has amazed us with his board a week projects, and now one of them could be yours! Today Mats is giving away four kits of Nu-Fithole and four USB breakouts, you can choose between a Mini- or Micro USB breakout. He’ll give these away to 8 random commenters, just leave a comment on this post with your preference. The first is for four “kits” of my new batch of Nu-Fithole boards. I ran out of the old batch so I ordered some more. 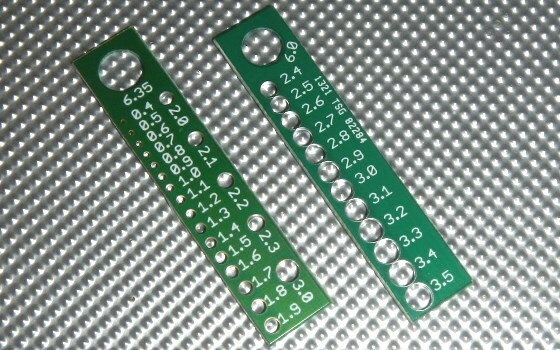 I also made a XL version of it with holes ranging from 2.4 to 3.5 mm. So each of the four kits are with one Regular and one XL board. Then I also made a big batch of the mini/micro USB breakouts. I’ll give away four of these as well. 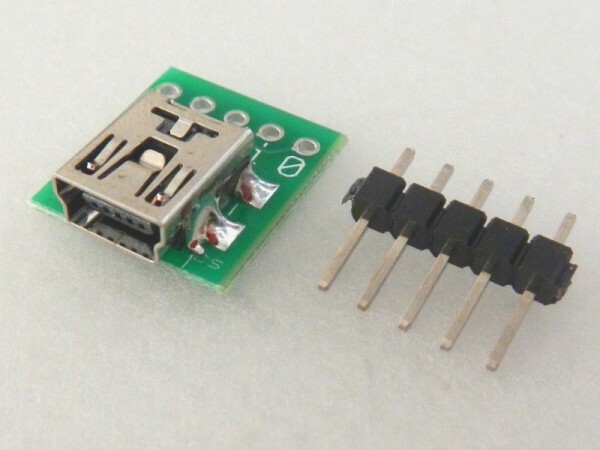 The USB mini connectors are already soldered, but you’ll have to solder the pinheader (included) yourself. The boards for this giveaway only have one row of headers, not two as on the old board. For more information visit the project’s Tindie site. This entry was posted on Monday, June 10th, 2013 at 2:02 pm	and is filed under contest. You can follow any responses to this entry through the RSS 2.0 feed. You can skip to the end and leave a response. Pinging is currently not allowed. Nu-Fithole board for me, thank you! USB would be awesome, no matter if mini or micro. Would you ship those giveaways overseas anyway? Mats, very generous of you, and nice work! Mini for me, if I’m lucky enough to win the drawing. A mini would be great! Currently experimenting for the first time with USB and PIC’s. micro usb please. thank you! Either the mini or micro would be useful for me. Micro USB would be lovely, mini usb wouldn’t be too bad either. Nu-Fithole random access for me please!! Although I appreciate the advantages of SMD, I’m always pleased to see experimenter devices with plug-in features. I’d love a micro-usb version. Those are awesome! Mini usb breakout would be great! Love how small this is! Can’t wait, I’d love to work with this! Hi Mats! The Micro- breakout would be great for my modded, wirelessly controlled Telescope videocam! (Still have to connect it to a host to download the videos!) Thanks! Micro would be cool. Thanks. I’d like a USB breakout please. Micro-USB breakout, pretty please with a solder fume extractor on top. I absolutely need to change my timezone :-(. Anyway I would love a MicroUSB breakout, too. if it’s not too late count me in as well.